Tony, younger brother of Junior comes to us from Caye Caulker as well. 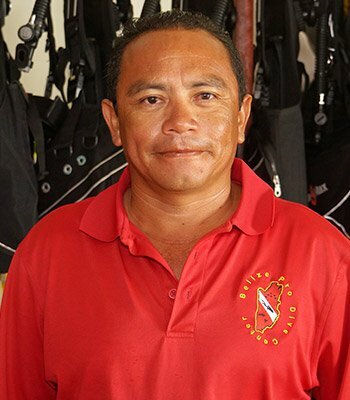 With over 25 years of experience tour guiding between both Islands, Tony adds a great balance and serves as a mentor to the the rest of the crew. You’ll surely be pampered by Tony if diving on his boat where he usually entertains with a bit of singing and dancing.